South Korean companies will actively participate in New Zealand's massive projects to build homes, roads and railroads as part of efforts to further deepen bilateral economic ties, Seoul's finance ministry said Wednesday. 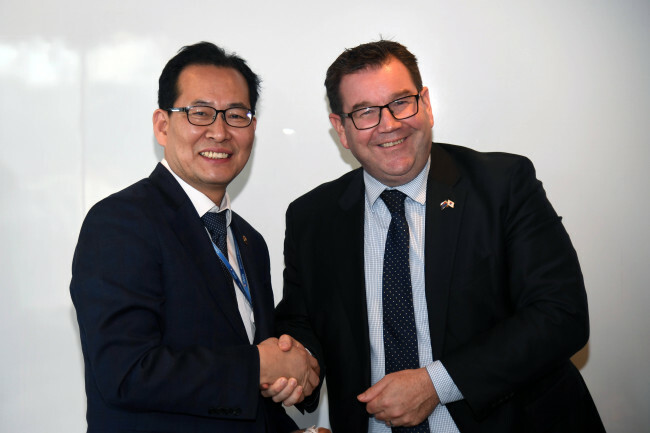 In a meeting with Deputy Finance Minister Koh Hyeong-kwon, New Zealand's chief economic policymaker Grant Robertson urged South Korean companies to join his country's efforts to expand infrastructure. Koh responded by saying that South Korean firms have expertise in building new towns, IT-related, medical and educational facilities, and they are expected to actively cooperate on such infrastructure-building projects in New Zealand. They also agreed to expand economic cooperation between the two countries, according to the finance ministry.